I spent the entire year of 2010 working at Environment Canada as a web developer. The job had its ups and its downs, and involved me sitting in a cubicle for the majority of my day. Sometimes it drove me crazy, but now I find myself missing it. 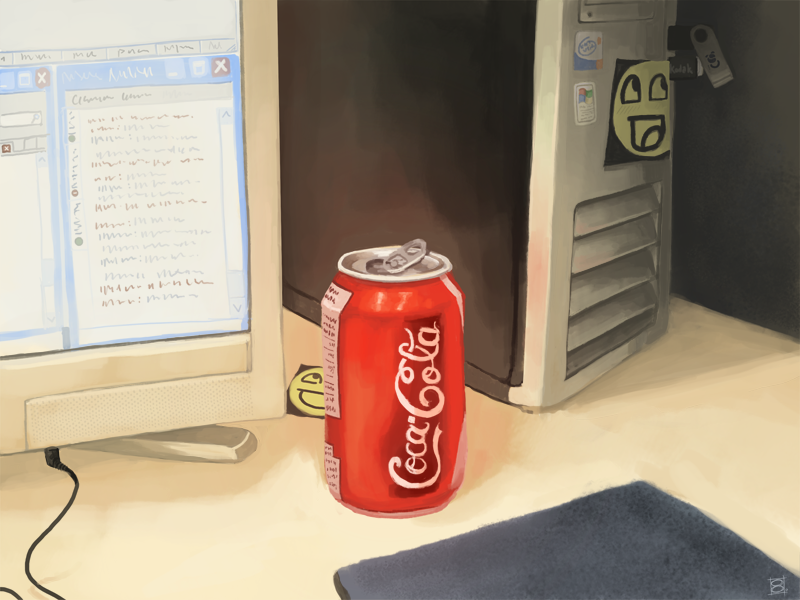 I took a photograph of a coke can I'd drunk, intending to use it for a still-life study because I liked the lighting. I didn't get around to it until this past August, and then got distracted from it. So today, I finished it. The end.